Ginger Lettings was formed to offer both landlords and tenants a professional, sympathetic service. For landlords, we wanted to create an environment where they could feel completely confident in leaving us to manage their major asset, and for tenants we have striven to provide a fair, even-handed approach to helping you find your own home. Ginger Lettings already has a significant portfolio of properties which it manages on behalf of our clients. We are an independent estate agent, specialising in residential sales, lettings and property management within Islington. Myspace are an independent agency handling the sales, lettings and management of a diverse selection of residential properties in the Central London area. With a growing number of agents to choose from, and the increasing regulations surrounding sales and lettings, the challenge has never been greater. Our aim at Myspace is to help you sell or let your property for the best possible price, assisting you every step of the way. 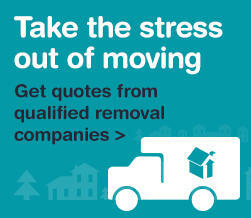 At relocate-me, we have a passion for delivering the very best in customer Service. Along with our wide range of services, we offer our clients sound advise in all areas; so whether your buying, selling or letting your property our extensive knowledge of the loca area coupled with an enthusiastic approach to business ensures that we are well equipped to meet all of your needs. At Square Quarters Estate Agents our moto is "We're not no.1, YOU ARE!' and this is truly at the heart of everything we do. Finding a comfortable, safe and affordable property to rent or buy in London is not always easy, but with the right estate agent it can be. We specialise in letting, management, BTL and sales. We are located in Islington N1 and we list a fantastic range of high quality properties in the very desirable surrounding zone 1 and 2 areas of London. Established in 2005 Urban Sales and Lettings are the UK’s leading online estate agents selling and letting more property than any other online agent.